My last blog post, Gifts for the Person who has Everything, was so popular, I decided to turn it into a series sparked by different niches. Today’s blog will be amazing gifts in the spirit of Shop Small Saturday (officially November 28, 2015), with homage to my home-state of New York. All of the items on this list are derived from small businesses located in New York State. 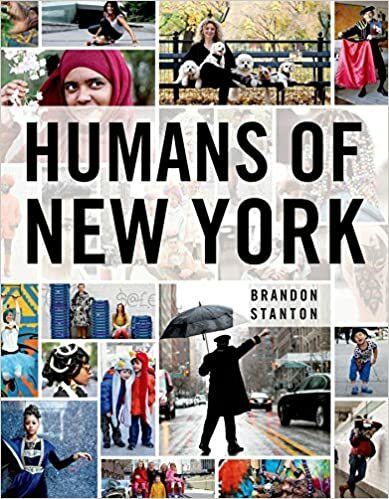 Now an in stant #1 New York Times bestseller, Humans of New York began in the summer of 2010, when photographer Brandon Stanton set out to create a photographic census of New York City. Armed with his camera, he began crisscrossing the city, covering thousands of miles on foot, all in an attempt to capture New Yorkers and their stories. The result of these efforts was a vibrant blog he called “Humans of New York,” in which his photos were featured alongside quotes and anecdotes. A mini Rose & Chamomile Butter and a Rosy Lip Tint packaged in a stamped cotton bag, perfect for gifting! Beautiful photographic prints of landscapes, flora, and fauna. An ideal gift for anyone looking to capture the elegance of nature. These pen dants are handcrafted & made to order, they will normally ship within 48 hours after purchase. When you purchase this listing you will receive 1 Bronze pendant, and 1 matching chain. This beautiful pendant is 25 mm (1 inch) in diameter and has a Bronze bezel. The art work is sealed under a clear round glass cabochon. 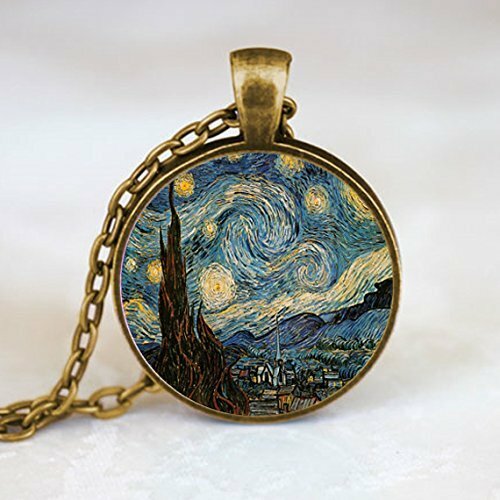 Pendants are available in silver, bronze, gold or black metal finish. This listing is for ONE 12oz latte mug. The upper left state is “Location 1” which is connected with a dotted line to “Location 2” (the bottom right state). 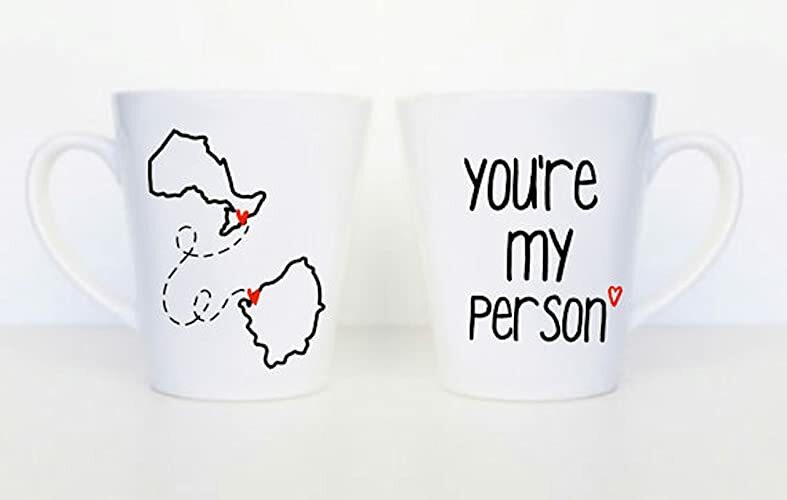 On the back is “You’re my person”, followed by a heart. If this is a gift being sent to someone, I’d be more than happy to include a handwritten note for you at no extra charge. Just let us know what you would like it to say! ——- These mugs are custom designed! Therefore, there may be some variation from the pictures shown above. THIS DESIGN IS NOW DISHWASHER SAFE! These may be the most delicious desserts you have ever come across. The Nutella Dreams Beansie Truffles are a burst of delicious Nutella wrapped in a gorgeous chocolate swirled truffle. Perfect for any foodie or as a host gift. Think back to the best skin related experience you ever had. Was it a hug from your Mom? Was it a gentle touch from your spouse? I bet if it felt rough and dry or soft to the touch you’d remember that, too. Why not make every skin touching experience, soft. And silky. And nourishing. And pampering. That’s how Oilz+™ Shea Butter Lotion makes your skin feel every single time. 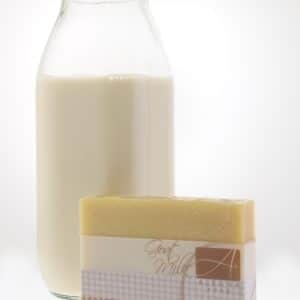 And don’t forget, as the weather gets colder and drier, your skin needs extra moisture. Best time to use is right out of the shower or bath. Twig’s D IY Terrarium Kit includes everything you need to make a gallon sized container (with enough leftover for one or two tiny terrariums!). Kit comes complete with high quality ingredients designed for use with terrarium plants, detailed instructions, and even a tiny person to populate your new little green world! Stay tuned for the next update on awesome gifts to get this holiday season! So happy to be included! Many thanks! Big smile! Thanks for including us!